There’s something about shimmering blue flowers that fascinates gardeners – in fact some love them so much that they devote a special section in their garden to blue flowers only. 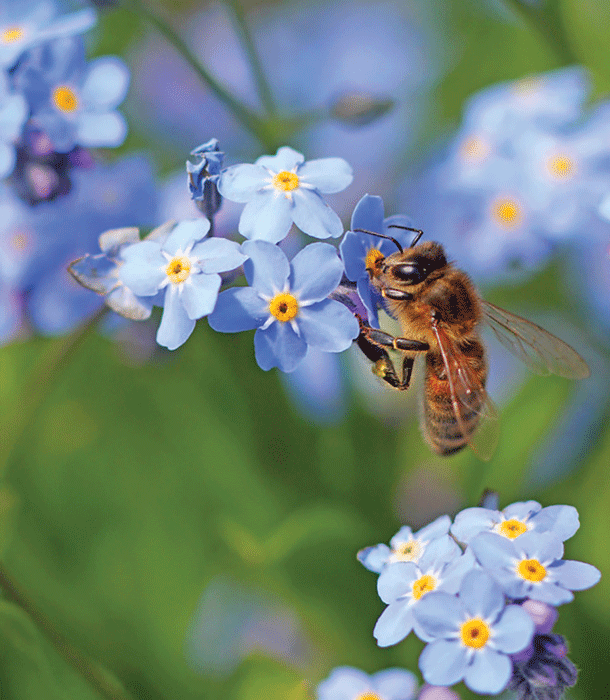 While that might be a little somber for you and me (blue flowers, after all, tend to recede in our vision compared to bright yellows and reds), a blue-flowered garden can be a supermarket for honey bees, provided the right plants are grown in quantity and in sequence throughout the foraging season, so there’s always something in bloom. Quantity is important, of course, because honey bees practise economy-of-scale in their foraging trips; they need a sufficient population of each preferred nectar- or pollen-rich plant to make a visit worthwhile. 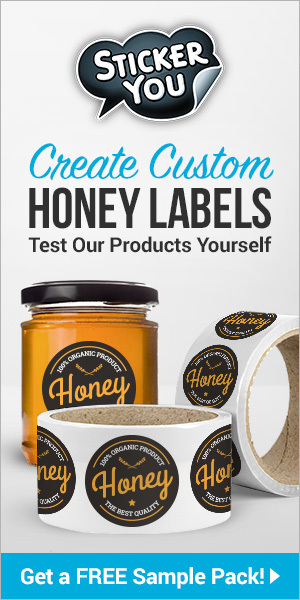 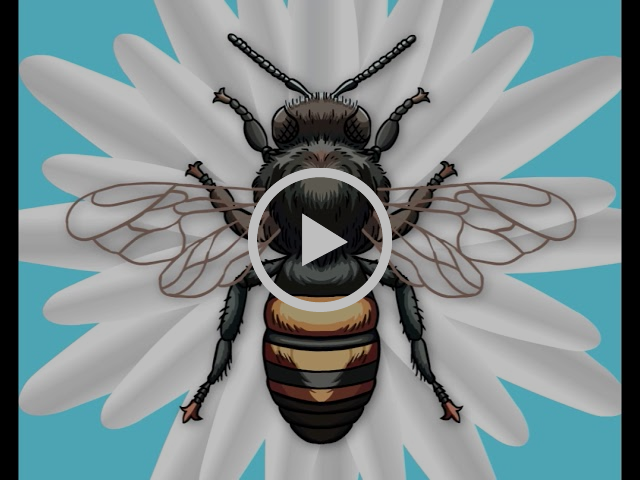 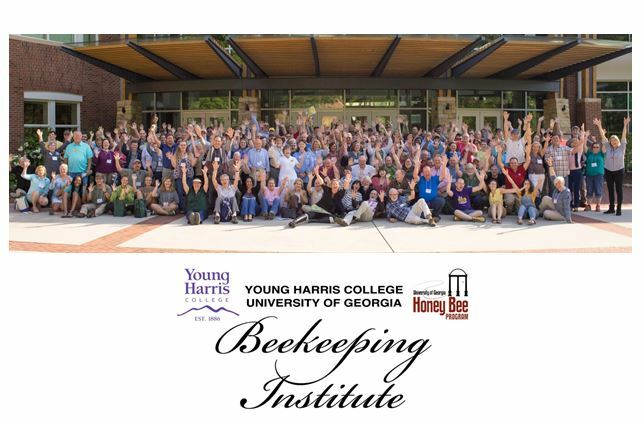 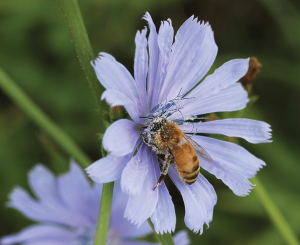 Unlike bumble bees and other native bees, honey bees are ‘flower-faithful’ or ‘flower-constant’, as Charles Darwin wrote, learning the intricacies of the anthers or nectaries, then working on one type of flower until its pollen or nectar is depleted. 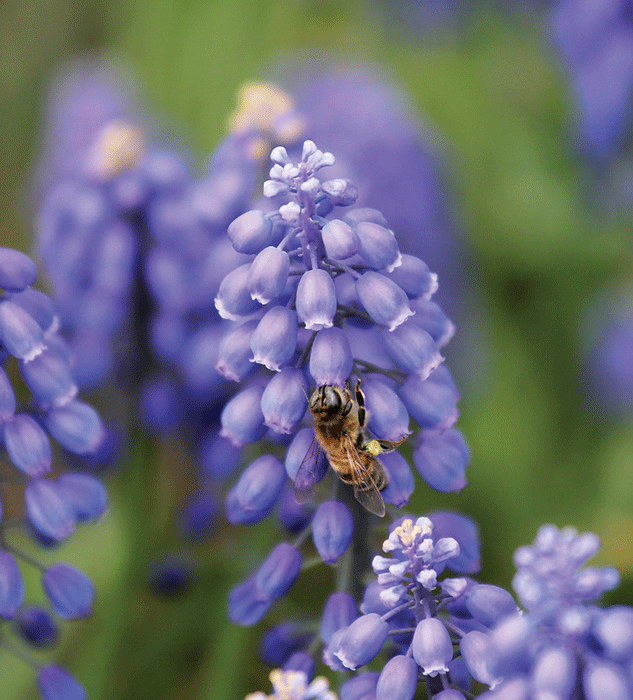 So if you have a small garden, choose just a few from the list below, but plant lots of them. 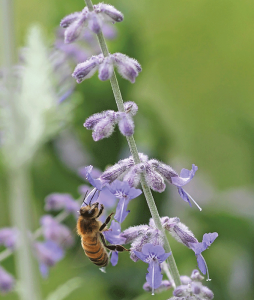 And, of course, avoid the use of insecticides and herbicides. 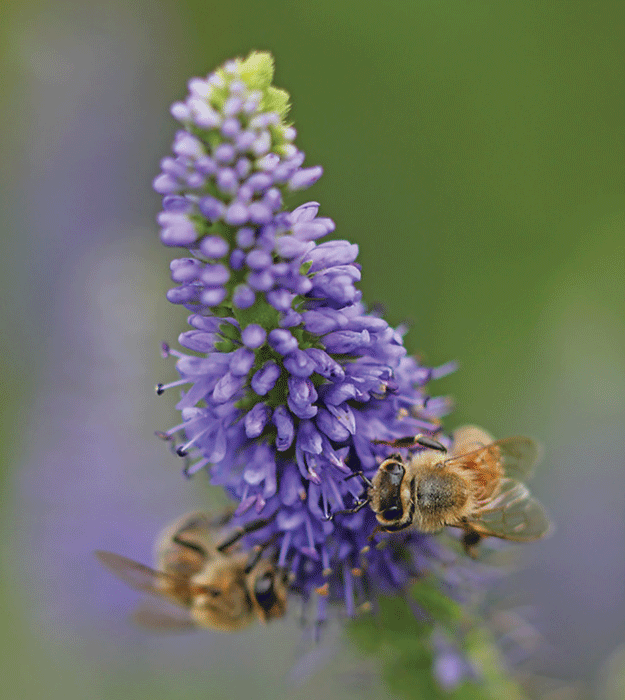 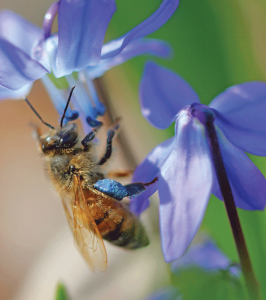 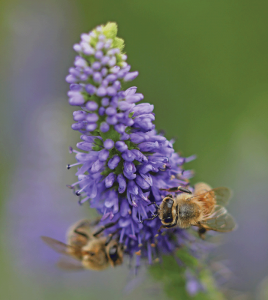 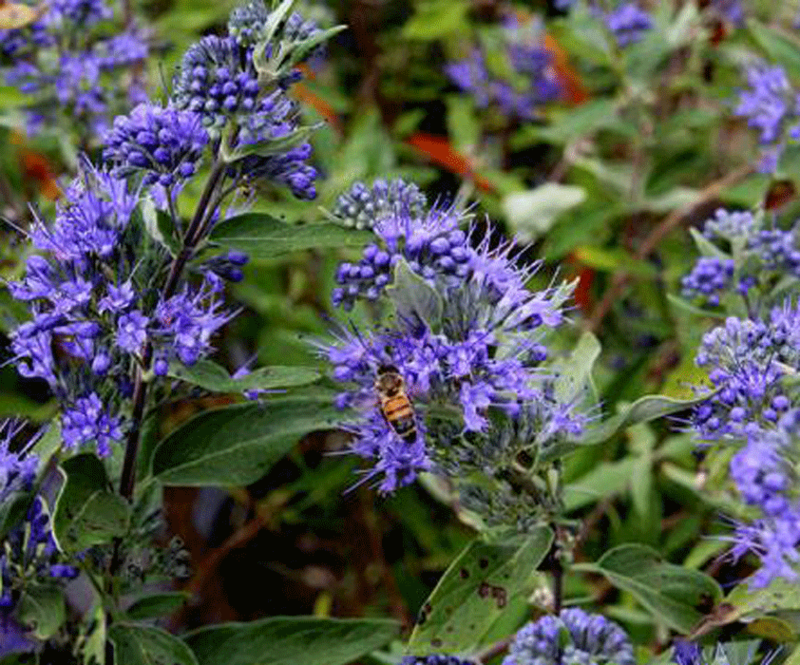 Blue Flowers – Fascinating to Gardeners and Good for Bees. 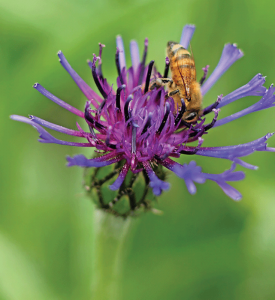 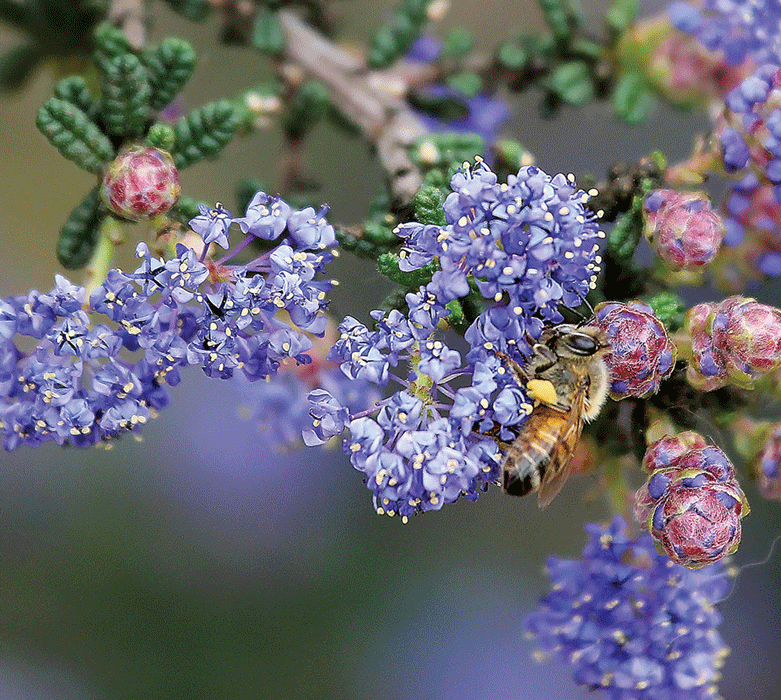 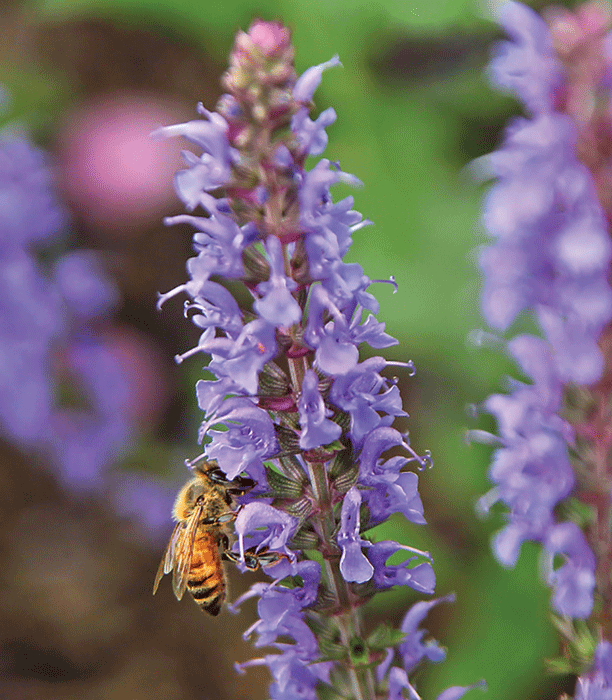 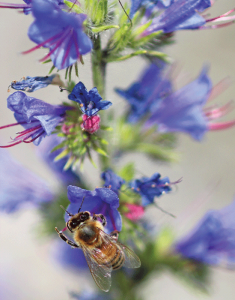 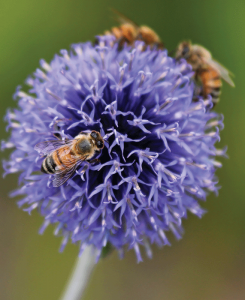 Here are 17 excellent blue-flowered honey bee plants arranged sequentially from Spring to Fall. 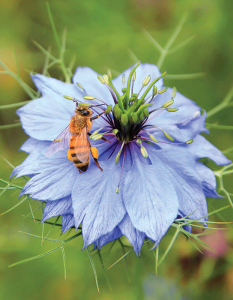 Every garden can use a few annuals, and love-in-a-mist is one that is easily grown from seed broadcast in a sunny spot in average soil in early Spring, as soon as the ground can be worked. Love-in-a-mist adds charm to mixed plantings, where it is considered a ‘filler’ plant. 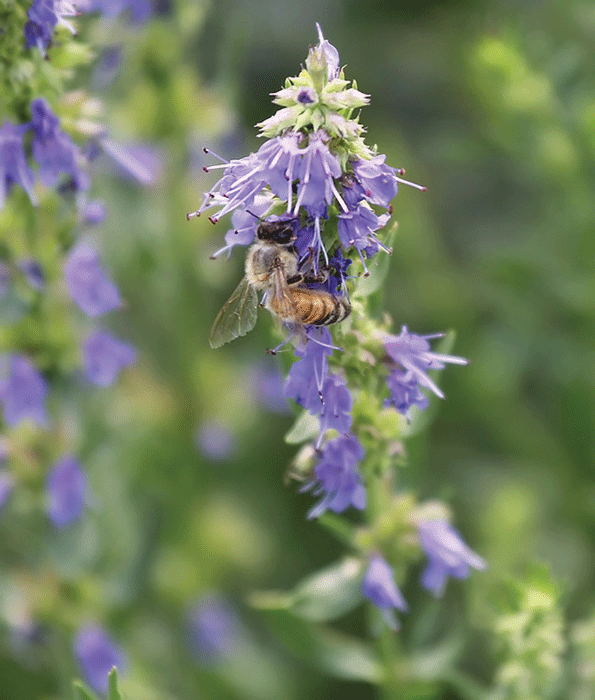 The ‘mist’ part comes from the thread-like leaves that surround the flower, whose pollen-rich anthers attract honey bees and complex nectaries provide nectar. Plants grow 12-18 inches tall and the seed pods are lovely in dried arrangements. 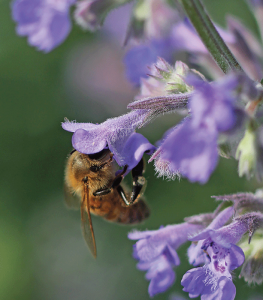 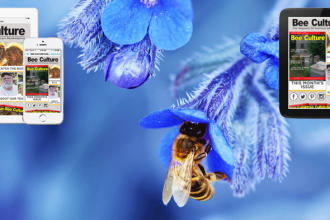 Bees adore borage, a mainstay of European herb gardens since medieval monks grew it in their apothecary plots. 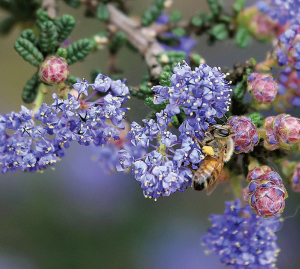 It is fun to watch honey bees hovering near one of the down-facing, blue (or pink) flowers before clinging to it briefly to gather nectar or pollen. 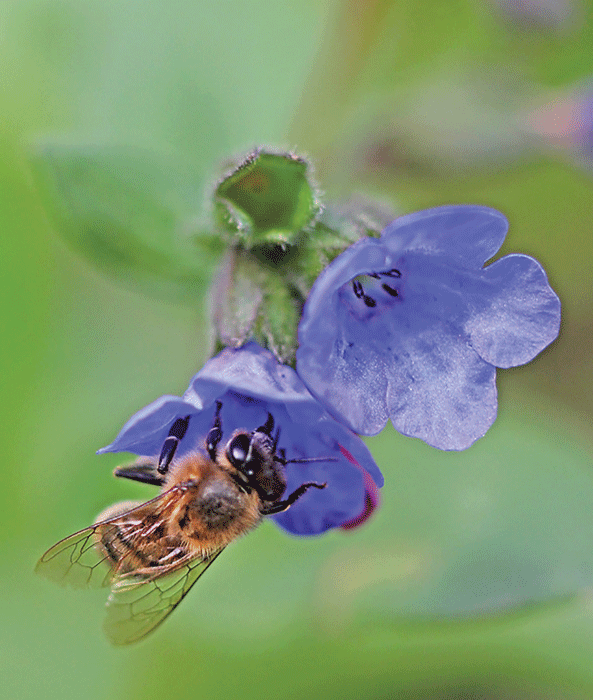 Borage is grown as a commercial crop in North America for the omega-6 fatty acid GLA (gamma-linolenic acid) contained in the oil of its seeds, and hives brought in by local beekeepers have been shown to increase pollination of the flowers. Borage has been grown as a monofloral honey crop, including in Italy, where ‘miele di borragine’ is a delectable honey. 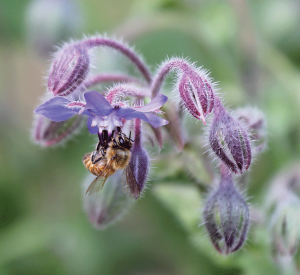 Borage is easily grown from seed in constantly-moist average soil in sun or light shade, and will readily self-seed. 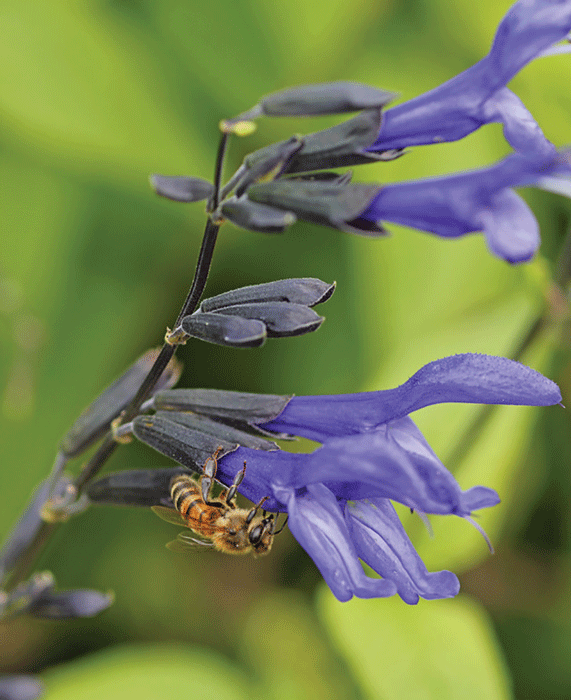 It’s perfect for a vegetable or herb garden or waste places, but a little coarse for a flower border.